Defence Secretary Gavin Williamson and his German counterpart Ursula Von Der Leyen affirmed the two countries’ long-term commitment to working together at the first of what will be an annual UK-Germany Defence Ministerial Council. "Brighter skies of peace and prosperity"
Defence Secretary Gavin Williamson said: “The world may be darker and more dangerous than at any time since the fall of the Berlin Wall thirty years ago. 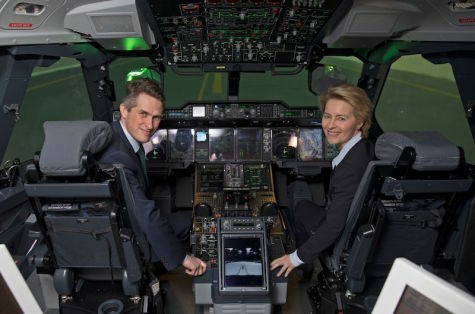 The UK-Germany relationship has been accelerating in recent years, with the two nations last October signing a Joint Vision Statement on increasing defence cooperation. Alongside the similar Franco-British Council and the French-German Defence and Security Council, the UK-Germany Defence Ministerial Council ties up a powerful security triangle to defend European security.